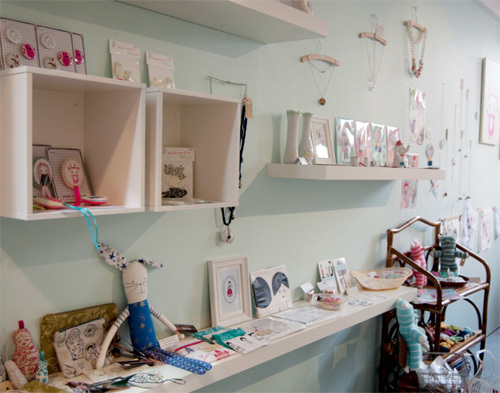 It’s time for another lovely shop for our Indie Craft Shop section! Today I’m going to introduce you a brand new space that has open its doors the last 14 May: Elle Aime. I’m always excited when some artist from the creative community made his dream come true. I feel the joy flowing in my veins. It’s something magical for me. And guess who is the enterprising girl I’m talking about? She’s our sweet Lisa Manuels! Below, wonderful in her fantastic vintage styled dress (how adorable? I’m totally in love with it! It’s an handmade creations itself and comes from www.houseofdots.nl). Elle Aime is already amazingly full of great handmade products and as you can see by yourself, Lisa turned it into a really nice and friendly space. I had no doubt it would be a lovely shop, knowing Lisa’s tastes. It’s located in Rotterdam, Netherlands (must be saved in the map!). But let’s give the word to Lisa. Go sweetie, tell us something about you and your “baby”! “Hello! 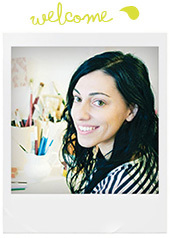 I’m Lisa Manuels and I’m an independent illustrator and a lover of everything handmade! It has been a dream of mine to own a shop full of handmade and unique products. And a little while ago that dream came true! 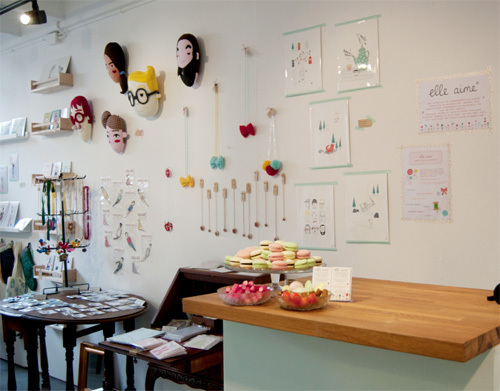 I’m now the owner of Elle Aime, a little shop in Rotterdam (that is a city in The Netherlands). First I wanted to sell my own work, like prints, original drawings, cards, buttons, but also jewelry. 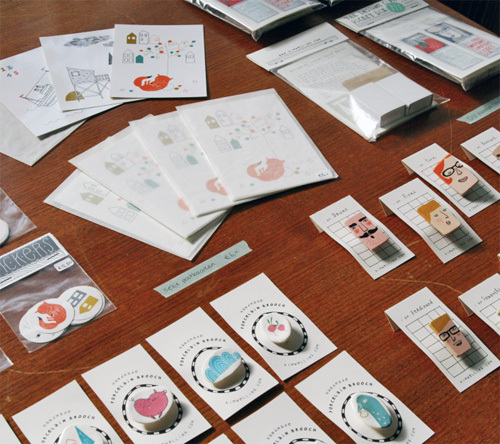 So now I sell all kinds of different products made by designers from everywhere around the world! Some are from The Netherlands too, but others are from Spain, Italy, America, Australia, England, France or Russia. The items they make (mostly by hand!) arrange from tote bags to key rings and from necklaces to oven gloves. I love every single item I sell , because I only want to sell products that I believe in and that are obviously made with love and care. A lot of people who come into the shop say everything fits together so well, although I sell a lot of different items by a lot of different designers. I’m glad it does! 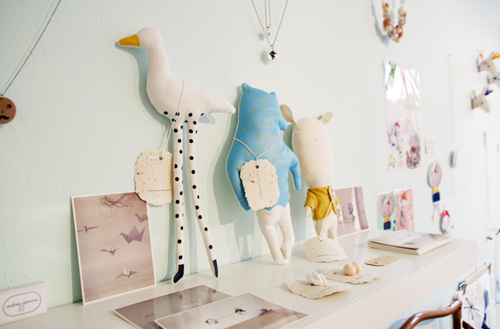 I think the shop is a mix of my favorite Etsy sellers and other designers that I found on the Internet. Because not everyone can come to Rotterdam to pay a visit, I decided to also open an online shop. So now everyone can shop at Elle Aime! Besides selling all those handmade things, I also love to create myself! And I think a lot of people do nowadays. On the Internet you’ll find so many D.I.Y. projects and a lot of people started knitting, crocheting or drawing again. That’s why I also organize and give workshops in the shop. Sometimes I will invite a designer or artist to come and give a workshop and sometimes I will give the workshop myself. 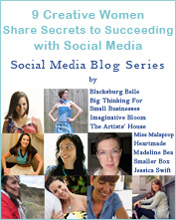 It’s a lot of fun to come together with people that all love to be creative! I hope I can organize a lot of workshops in the future and I guess I will be planning a lot of them next autumn! Making stamps, making jewelry with vintage finds, embellish tote bags with embroidery and making collages with paper and old photos. I can’t wait! The shop in Rotterdam is open on Thursdays (from 1 to 5), Fridays (from 10 to 5), Saturdays (from 10 to 5) and on every first Sunday of the month (from 12 to 5). I wanna come Lisa! Some pink macaroons and a cup of tea, and my heart will definitively conquered! 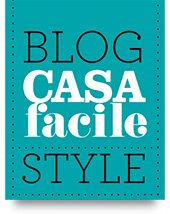 E’ il momento di aggiungere un’altro shop alla nostra sezione Indie Craft Shop! Oggi sto per presentarvi uno spazio fresco fresco che ha aperto le sue porte lo scorso 14 maggio: Elle Aime. Sono sempre emozionata quando qualche artista delle comunità creativa fa diventare realtà un suo sogno. Sento la sua gioia scorrere un pò anche dentro le mie vene. Per me è qualcosa di magico. E indovinate chi è l’intraprendente ragazza di cui sto parlando? La nostra docle Lisa Manuels! Qui sotto, bellissima nel suo stupendo vestito stile vintage (quanto è adorabile? Lo amo. E’ anch’esso una creazione artigianale e viene da www.houseofdots.nl). Elle Aime è già incredibilmente pieno di fantastici prodotti handmade e, come potete vedere da voi, Lisa l’ha fatto diventare uno spazio davvero accogliente e carino. Non avevo dubbi che sarebbe stato un negozio carinissimo, conoscendola. E’ situato a Rotterdam, nei Paesi Bassi (da salvare nella mappa!). Ma diamo la parola a Lisa. Vai dolcezza, dicci qualcosa di te e del tuo “piccolo”! “Ciao! Sono Lisa Manuels e sono un’illustratrice indipendente e un’amante di tutto ciò che è handmade! E’ sempre stato un mio sogno quello di avere un negozio pieno di cose artigianali e prodotti unici. E un pò di tempo fa questo sogno è diventato realtà! Ora sono la proprietaria di Elle Aime, un piccolo negozio a Rotterdam (una città dei Paesi Bassi). Inizialmente volevo venderci i miei prodotti, come stampe, disegni originali, cartoline, bottoni e anche gioielli. Quindi ora vendo tutti i tipi di prodotti creati da designers da ogni parte del mondo! Alcuni sono anche dai Paesi Bassi, ma altri sono dalla Spagna, dall’Italia, America, Australia, Inghilterra, Francia e Russia. I prodotti che fanno (principalmente handmade) vanno dalle tote bags ai portachiavi, alle collane ai guanti da forno. Amo ognuno dee prodotti che vendo, perché voglio solo cose in cui credo e che sono fatte sicuramente con amore e cura. Molte persone vengono nel negozio e dicono che ogni cosa sta bene con le altre, anche se vendo prodotti differenti l’uno dall’altro provenienti da tanti designers diversi. E sono felice che sia così! Penso che il negozio sia un mix dei miei venditori preferiti in Etsy e di altri designers che trovo in Internet. Siccome non tutti possono venire a Rotterdam per una visita, ho deciso di aprire anche uno shop online. Così ora chiunque può acquistare da Elle Aime! Oltre a vendere tutte queste cose artigianali, amo anche creare io stessa! E credo che molte altre persone lo facciano al giorno d’oggi. In Internet trovate tanti progetti D.I.Y. (Do It Yourself/Fai Da Te) e molte persone hanno iniziato a fare lavori ai ferri, all’uncinetto, o a disegnare ancora. E’ per questo che nel negozio tengo e organizzo anche dei workshop. Ogni tanto inviterò un designer o un artista a fare un workshop e altre volte li terrò io stessa. E’ molto divertente stare insieme fra persone a cui piace essere creative. Spero di poter organizzare molti workshop in futuro e credo che ne organizzerò molti il prossimo autunno. Facendo timbri, gioielli con dei pezzi vintage, abbellendo delle tote bags ricamandole, facendo collage con carta e vecchie foto. Non vedo l’ora! Il negozio a Rotterdam è aperto i Giovedì (dalle 13.00 alle 17.00), i Venerdì (dalle 10.00 alle 17.00), i Sabati (dalle 10.00 alle 17.00) e tutte le prime Domeniche del mese (dalle 12.00 alle 17.00). Io voglio venire Lisa! Qualche dolcetto rosa e una tazza di the, e il mio cuore sarà definitivamente conqusitato. On the off chance that essential, entryways might be set to open amid an assigned time span. Hello there, just became aware of your weblog thru Google, and found that it is really informative. I am going to be careful for brussels. I’ll appreciate in the event you continue this in future. Numerous other folks might be benefited out of your writing. Cheers! Hey girls, thanks for stopping by and leaving such sweet comments for the post and the shop! And… yes for the meetup!! It would be a dream! 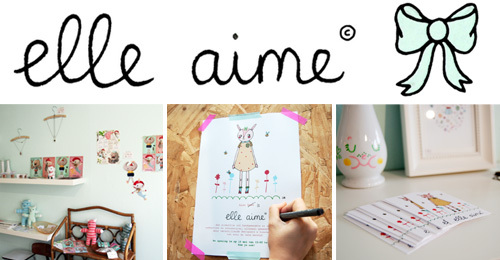 Elle Aime is indeed a very nice shop! I’ve been there a couple of times (the lovely Lisa sells my work too. @amy: a meet up, good idea!) 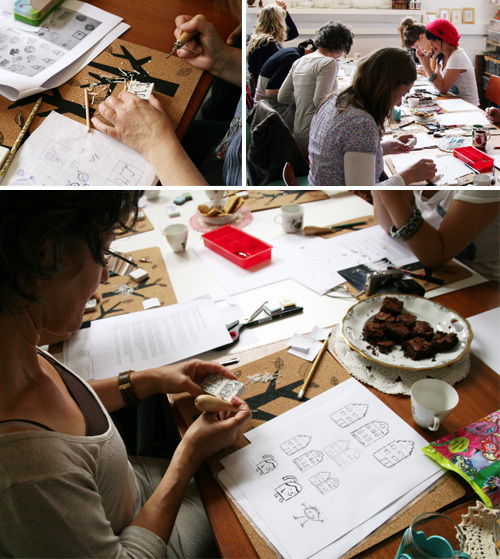 and also did the stamp carving workshop, so much fun! yay! so happy for lisa opening her store, she is stocking my work too! let’s have a meetup in Rotterdam! This looks like a place I’d love to visit!! 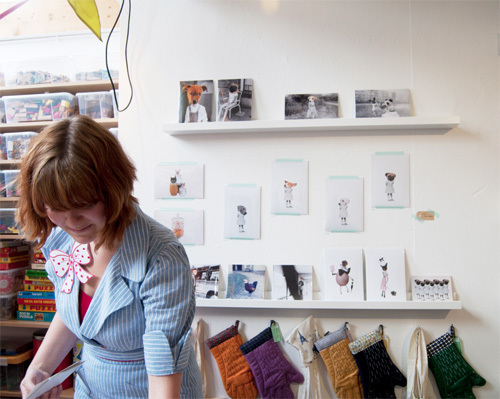 Such a lovely space and so many creative products! I could spend an afternoon getting lost in all the fun items. Thanks for sharing it! wooow! Congratulation Lisa! Your shop looks amazing, full of artists I love and so delicate! This looks like a lovely place!!! And the stuff is great on the online shop as well!!! Congratulation on the opening!